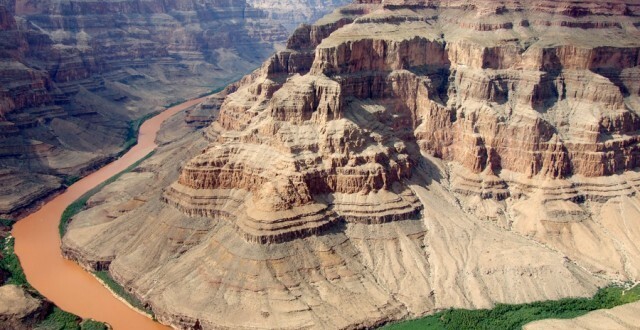 Welcome to the Grand Canyon one of the world's most spectacular natural spectacles. 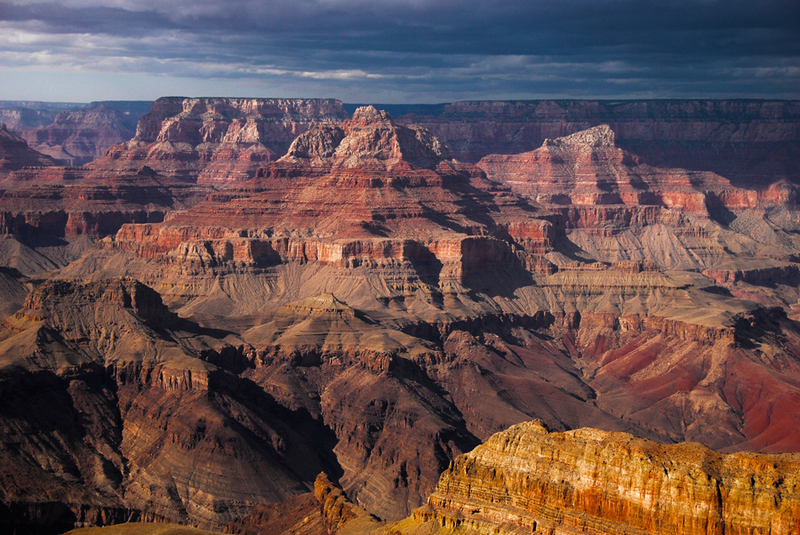 Created through millions of years of natural erosion the Grand Canyon features majestic rock walls over a mile high at its deepest and spans across over 18 miles at its widest. Millions of visitors each year travel to Arizona to experience this amazing geological formation in person. 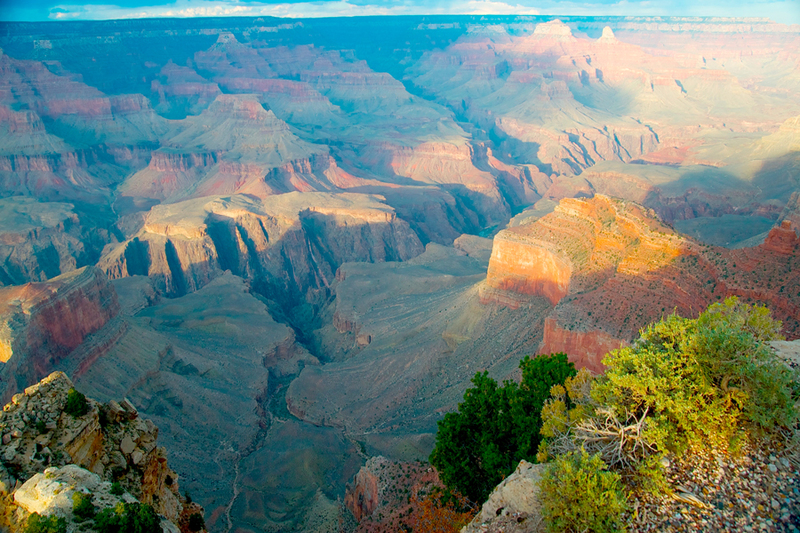 There are a multitude of things to do in and around Grand Canyon. Depending on schedule and desire you may want to experience the canyon through hiking, horseback riding or even a Colorado River rafting trip. Many visitors come just to experience views that seem to go on forever, fading into the vibrant reds, browns, and tans during the last rays of sunset. Whatever your desire make sure you visit the Grand Canyon at least once in your life. We have assembled a Guide to Grand Canyon National Park that contains information you may find valuable while planning your visit. In the lodging section we have compiled information about the many hotels, motels, bed and breakfasts located in and around the park. 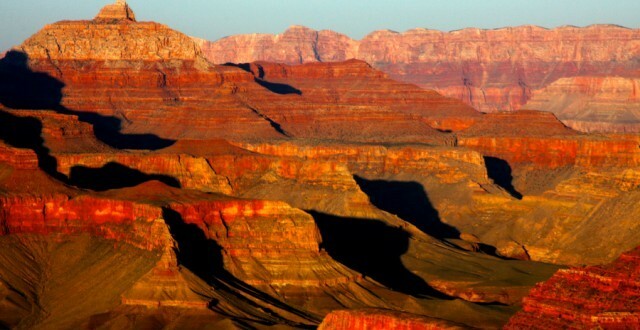 Our activities guide for Grand Canyon National Park includes horseback riding, ATV tours, air tours, biking, entertainment, fishing, golf, guided tours, hunting, museums, paintball, ranch activities, rappelling, river running, shopping, snowmobiling and skiing. If you're going to camp or bring along your RV trailer on your visit to Grand Canyon, check out the camping and RV park section of the website for information about great places to stay. Our Grand Canyon dining guide will allow you to find places to get a quick bite to eat or a full service meal. There are dining options near the park that will satisfy any palette or craving. Get a head start on planning your itinerary of things to see and do in the park by checking out our photo's of the Grand Canyon along with the video gallery to see some of the more popular spots in and around Grand Canyon National Park. 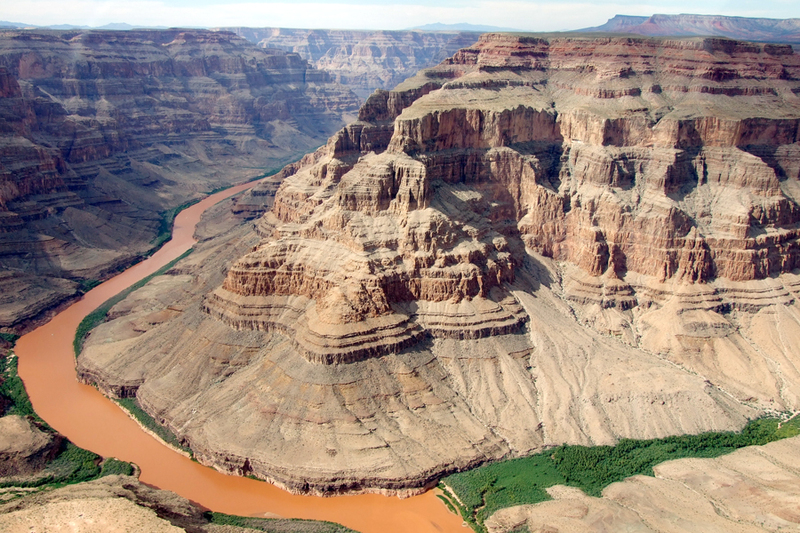 Get your bearings and map out your adventure using our detailed maps of the Grand Canyon. Our maps will help you find all the great trails and routes to get to and through Grand Canyon National Park. If you are looking for great deals for your vacation check out the vacation packages available and save some money. Be sure to take a look at the Park Information, Visitor Center, Fees/Permits, and activities for kids sections to get an idea of what you can do and the costs of them when you are visiting the park. 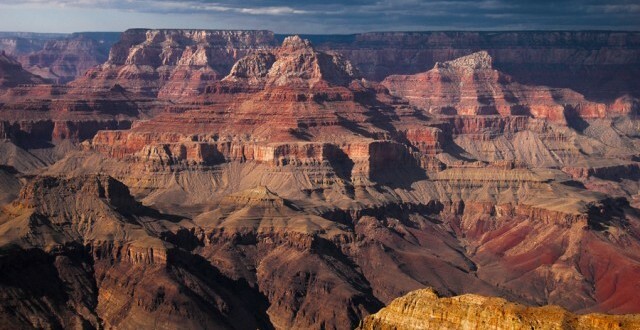 You may want to visit the Area Cities when you visit Grand Canyon National Park, Arizona. Here are a few cities to visit when you travel to Grand Canyon; Panguitch Lake, Duck Creek Village, Cedar City, Brian Head, Kanab, St. George and Salt Lake City. 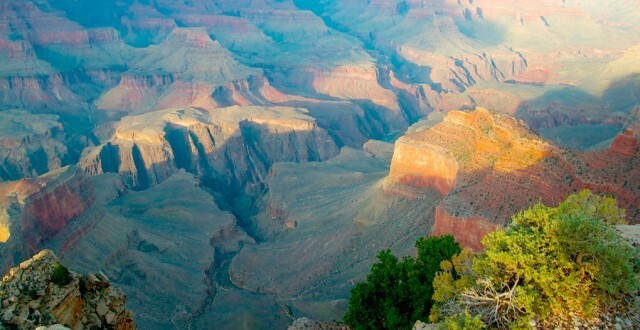 When you visit Grand Canyon National Park, Arizona you will want to visit all of the other National Parks nearby. Here are a few National Parks to visit: Bryce Canyon National Park, Arches National Park, Zion National Park, Capitol Reef National Park, Lake Powell National Recreation Area, Canyonlands National Park, and Escalante Grand Staircase National Monument. As one of the Seven Natural Wonders of the World, the Grand Canyon shows an impressive display of erosion and mother earth's natural beauty. 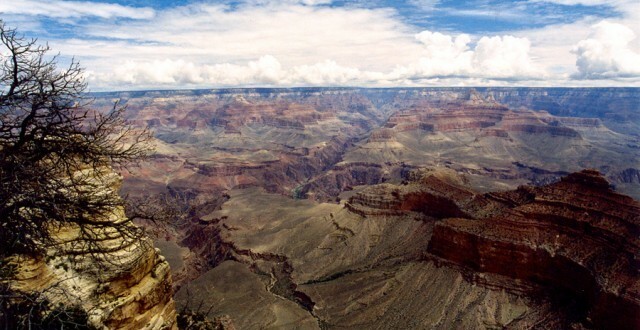 Stretching for 277 miles, the Grand Canyon ranges in elevation from 2,400 feet to over 7,000 feet above sea level. Many attractions and activities are located within the serene canyon. 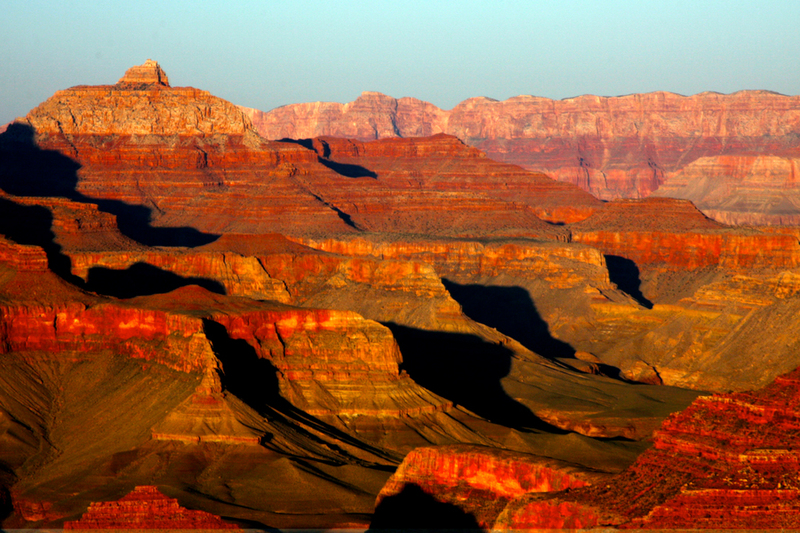 The breathtaking beauty of the Grand Canyon is enjoyable for all who visit. 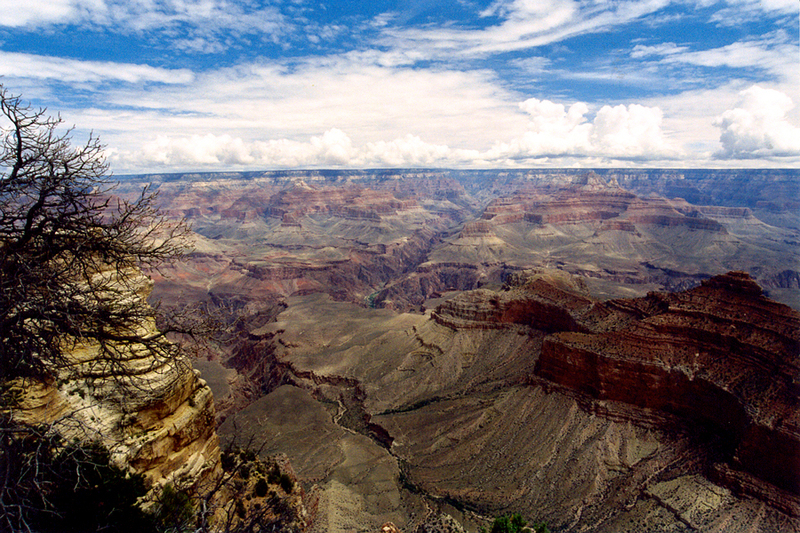 The Grand Canyon is located entirely in Northern Arizona. It is up to 1 mile (1.6 km) deep, 4-18 miles (6-29 km) wide, and more than 200 miles (320 km) long. Plateaus to the north and south rise 1,520 to 2,740 m (5,000 to 9,000 ft) above sea level, partly as a result of regional uplift, which left the North Rim more than 305m (1,000 ft) higher than the South Rim in places.